Cesare Prandelli's resurrection of Italy after the 2010 World Cup is now not merely a revival of results and spirit. That was the prosaic job requirement anyway, and one that Prandelli quickly checked off. No, Prandelli has done much more: he has aestheticized Italy's resurgence. 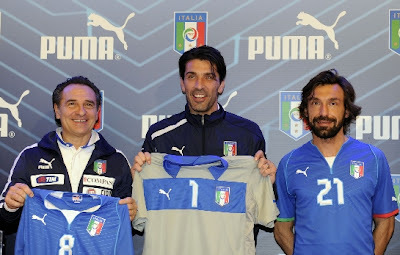 For the neutrals over the years, the Italian national team has, at best, remained unchanged. Despite the compelling evidence much, much to the contrary, the hackneyed opinions faithfully did the rounds. That is, that Italy are a calculating, sneering team, who retreat into defensive cowardice when the opposition is in delightful attacking flow. And of course, the logical conclusion is that Italy are regressive, and teams like Spain, Germany, and even, laughably, England represent the way forward. Most of these purveyors of decency don't evoke Claudio Gentile's fanatic marking on Maradona in the 1982 World Cup as clinching proof of Italy's congenital wickedness, but that is simply because their memories and knowledge don't stretch that far back--or, at all. Yet, you can't dismiss this sort of parochialism off-hand because, despite its flaws, it has led many to dismiss Italy. The truth is, had Spain not finally discovered the Philosopher's stone in 2008, Italy would probably be getting a lot more credit right now. The Azzurri have become one of the most watchable sides in world football under Prandelli. 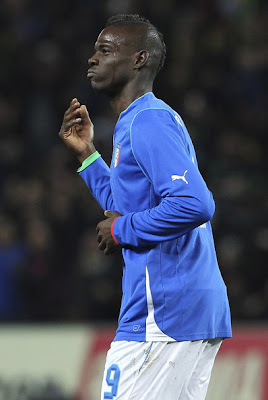 Sure, Spain have their brand of hypnotic foreplay, and Germany their cocksure decisiveness, but Italy are developing a calm, considered self-assurance that has harnessed even the libidinal energy of Mario Balotelli. That they are topping their qualifying group by three points with a game in hand should come as no surprise, but they have also played a football that is barefaced, unrestrained in its directness. There was evidence of that during the last European Championship, and more of it this past week. Italy's 2-0 win over Malta in the World Cup qualifier on Tuesday had some stutters but was ultimately routine; yet, their 2-2 draw with Brazil was a re-narrativization that cast the South Americans in a bit-part role. In the end 2-2 was immense flattery for Brazil. Italy looked like joga bonito; Brazil, a team striving to make acquaintance with themselves. Admittedly, the Brazilian national team has been soul-searching for a few years now, but that also enhances belief in Prandelli's craft--in such a short time, he has made Italy a resounding success, and one that is easy on the eye. Also, look around Europe. National teams are generally underwhelming right now. England look poorer with each game, France have yet to find their feet, and Germany, despite promising so much, failed when it mattered most at Euro 2012. After Spain, Italy are doing what they are doing best. analysts for months to come. What really sticks out for me is how Italy have relegated that talk to the periphery. It is almost as if whatever formation Prandelli comes up with, this Italy will be competitive, and beautifully so. Milan full-back Mattia De Sciglio and forward Stephan El Sharaawy are just two of the more notable additions that Prandelli has made to the national team, and both have capitalized on a more capacious Italy, one that allows for an expression of young, untried talent. And let's not forget that Italy were one game away from being crowned European Champions this past summer, but Spain had too much for them. But, it is not scandalous to say that the Italy that drew 1-1 with Spain in their opening game of Euro 2012 was closer to the truth than the tired and spent one that disintegrated in Kiev. Italy also dominated England and Germany en route to the Final with a brand of football that witnessed neat shorter passes (see the build-up to Mario Balotelli's first goal against Germany) and also a more direct aerial route (see the brilliant, heat-seeking pass by Riccardo Montolivo to Balotelli for the second Italy goal). The football was vivacious and liberated, not stifled and stuck in the old defensive school. This Italy is a dynamic one, despite drawing all of its starting line-up from Milan and Juventus on Tuesday. It is to Prandelli's and the Italian press's credit that they largely made the selection a non-issue, restoring belief that the group was more important than any regional allegiances, allegiances that have hindered Italy in the past. However, despite the collective, marshalled so ably by Prandelli, as has happened so often with Italian football, there was one player who still managed to outdo and outshine his teammates this past week. The newest fuoriclasse is Balotelli, the man who tore Germany apart this past summer, and the man who was in tears after the Euro 2012 Final. He also scored three of Italy's four goals in the last two games, one a stupendous shot from outside the area against Brazil. His fire will be vital for Italy during the World Cup in Brazil, and if Prandelli continues his unheralded revolution--the next test of which will be the Confederations Cup this summer--Italy may go very far.